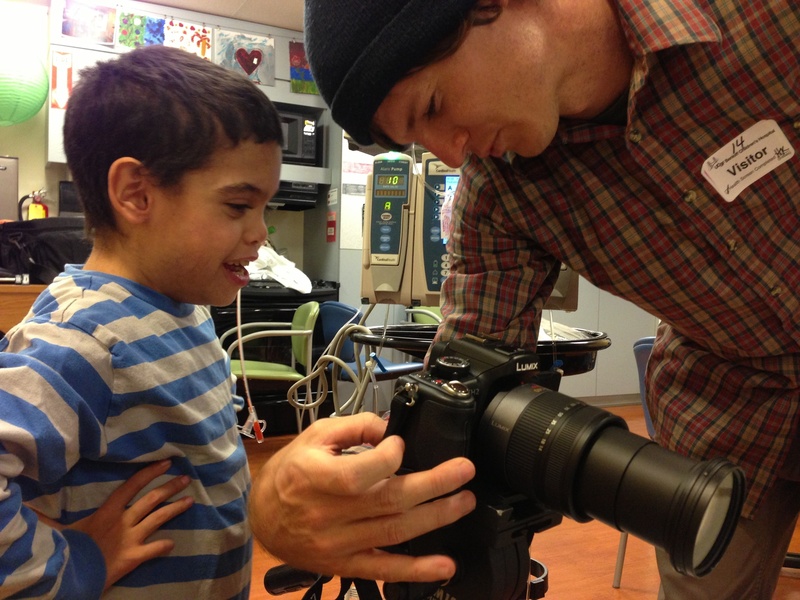 For our 2014 Give Good campaign, Stanford Blood Center partnered with BayKids Studios – a nonprofit who helps children facing long-term hospitalization empower themselves through filmmaking. Our Give Good contributions went toward funding a film made by Danica, a young girl who received a kidney transplant at age nine. Sunday, October 16, SBC’s Jonathan Bautista and Vanessa Merina joined in celebrating Danica’s (along with seven other children’s) incredible accomplishments as they premiered their films at the annual Lucasfilm Baykids Studio Premiere. The event was quite a success – a red carpet was rolled out to welcome the young filmmakers, a lineup of speakers talked about the process of filmmaking, and a reception was held afterward for the kids and their guests. The children were even given gold statuette awards, just like the Oscars! Danica’s film, One Girl, One Hope, One Journey, was showcased first, as Jonathan presented her with an award. In the film, Danica tells the story of her journey through receiving a kidney transplant, and all that it encompasses. She talks about the difficult parts of a transplant that we might not consider – for instance, Danica has to drink four liters of water every single day, even after she has completed dialysis. But perhaps the most moving part of her film is her relationship with her uncle, Rick, who gave Danica his own kidney so that she could enjoy a “normal” childhood, as he had. Your generous donations directly contributed to the making of Danica’s film – we would like to sincerely thank you for making this possible. You impacted not only a child’s life, but the entire community. You can once again make an impact during this year’s Give Good Campaign. If you donate blood at any of our centers or mobiles December 12 – 24, SBC will make a financial contribution to Bay Area Cancer Connections to help provide cancer patients with tote bags filled with comfort items like lavender eye masks, ginger chews, and fuzzy socks. Make an appointment (and support cancer patients) by visiting sbcdonor.org.